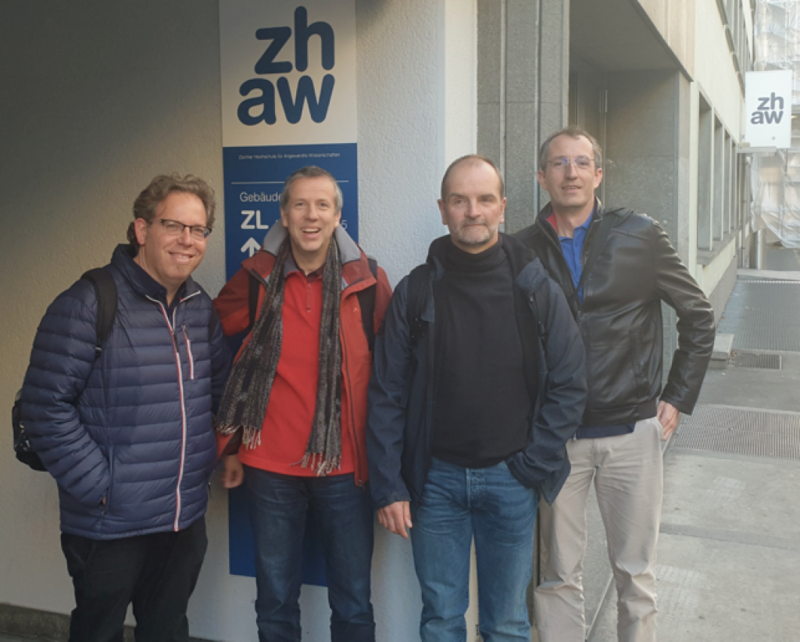 The EuroXanth COST Action had its 2nd Workshop at the Zürich University of Applied Sciences (ZHAW) in Zürich, Switzerland, on March 28, 2019. The ZHAW is one of the leading universities of applied sciences in Switzerland. Teaching, research, continuing education and other services at the ZHAW are both scientifically-based and practice-oriented. The workshop welcomed participants from three countries (see below) and served as a platform to set up a collaborative science wiki for EuroXanth virulence factors and resistance genes, which are of specific interest to Working Groups WG2 (Pathogen Biology) and WG3 (Genetic Resistance – Host Defence). Representatives of both Working Groups also discussed via videoconference with colleagues from Toulouse how to implement and maintain a database on virulence factors following the example with Ralstonia type III effectors, the Ralsto T3E database. These discussions and online activities were directly linked to achieve the Working Groups’ Objectives and their tangible Deliverables 10 and 11. Moreover, the new science wiki is expected to lower entrance hurdles for young scientists and newcomers in the field (Capacity Building Objective).